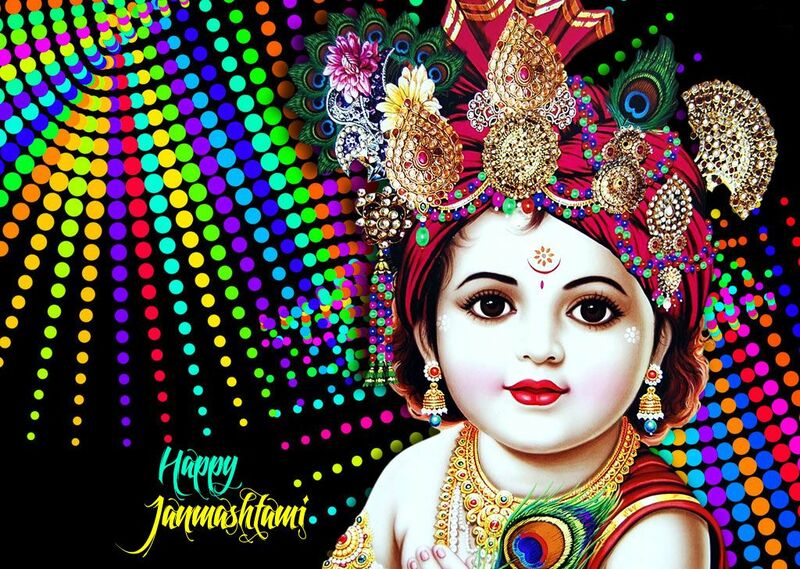 Krishna Janmashtami is one of the most important festivals celebrated with great zeal and fervor by Hindus across the globe. 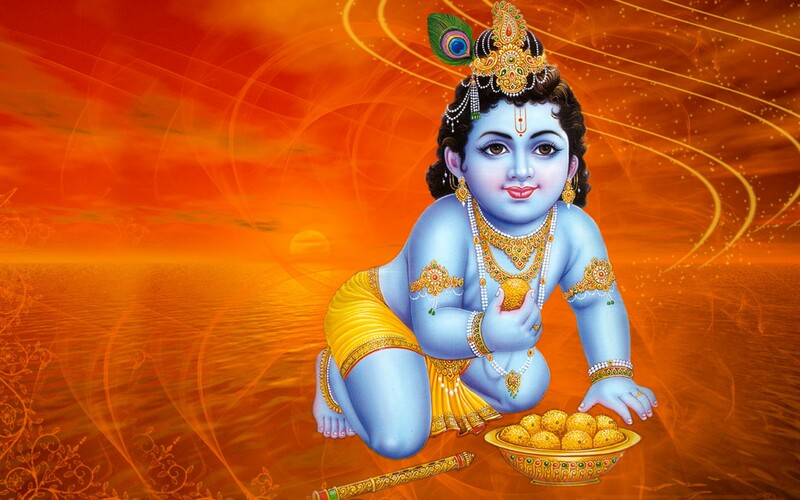 The day commemorates the birth of Lord Krishna, who is believed to be the 8th Avatar of Lord Vishnu. 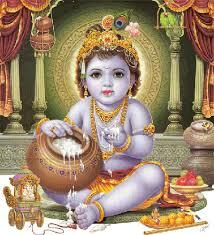 The story of Janmashtami dates back more than 5000 years and is one of the most popular tales told even today. According to legend, during the Dwapar Yug, Mathura was ruled by an evil and ferocious king named Kansa, who committed untold atrocities on his subjects. However, Kansa, deeply loved his cousin Devki whom he soon married off to King Vasudev of the Yadu dynasty. Kansa was deeply depressed as he was seeing off his sister and brother-in-law after marriage, when a heavenly voice told him that he would be killed by the eighth son of his beloved sister. On hearing this, cruel Kansa became enraged and tried to kill Devki on the spot. However, Vasudeva pleaded to him to spare Devki and promised to surrender every child borne by Devki to the cruel king. Despite Vasudeva’s promise, the anxious Kansa put the newly married couple in a heavily guarded prison. From then on, every time Devki delivered a child, Kansa visited the prison personally to kill the infant in the most brutal manner. He continued this atrocity until Devki bore her sixth child. However when she became pregnant with her seventh child, the baby was miraculously transferred into the womb of Vasudev’s first wife Rohini, giving everyone the impression that Devki had a miscarriage. Soon after, Devki became pregnant with her eighth child, who was born at midnight on the eighth day of the dark fortnight in the month of Bhadra. On this day a miracle happened as every single guard in the prison where Devki and Vasudev were confined went into a deep slumber and the chains and shackles that bound the couple also came loose of their own. Soon, Devki gave birth to an extremely beautiful child with a dark complexion. Almost instantaneously a heavenly voice instructed Vasudev to take the child to his friend Nanda who was the leader of the kingdom of Gokul, and bring back his newly born girl child. The prison gates opened up and a hesitant Vasudev placed his infant son in a basket to take him to Gokul, which was located across River Yamuna. On reaching the banks of Yamuna, Vasudev, found the river to be in full spate on top of which a heavy downpour made the journey even more difficult. Having no other choice, he stepped into the water and was soon submerged almost up to his neck. 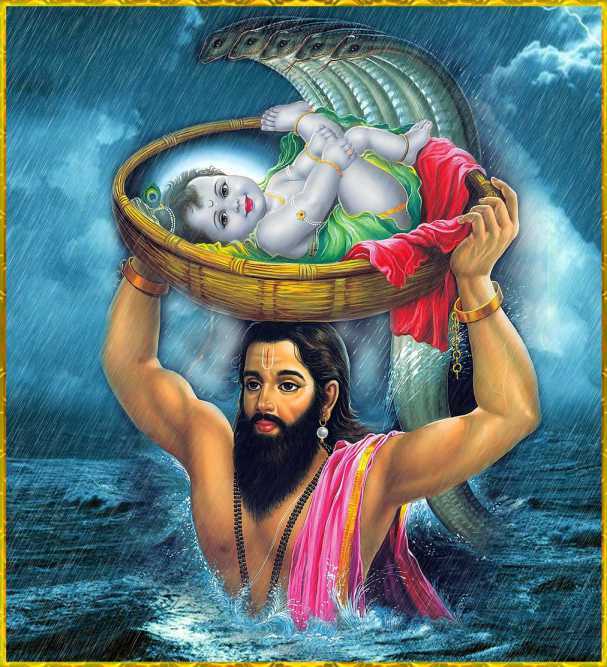 As he held the basket containing Krishna above his head, he was silently followed by Vasuki, who sheltered the infant from the rain with his five heads. Finally upon reaching the house of Nanda, he found his friend waiting for him with his newborn daughter, while his wife slept. The two exchanged the children and soon Vasudev was on his way back to the prison, where everything returned to normal once the king had entered his cell. As the guards woke up from the slumber, they heard the cries of the baby girl and immediately called Kansa. As Kansa came in and took the child from its legs to smash its head on the wall, the infant flew out of his hands and took the form of Goddess Maya. Upon witness Kansa fuming with anger, the goddess informed him with a loud laughter that his destroyer was born and safe elsewhere. Then she vanished leaving the cruel king dumbstruck and puzzled. This tale about the miraculous birth of Lord Krishna is recounted every year on the festival of Janmashtami.